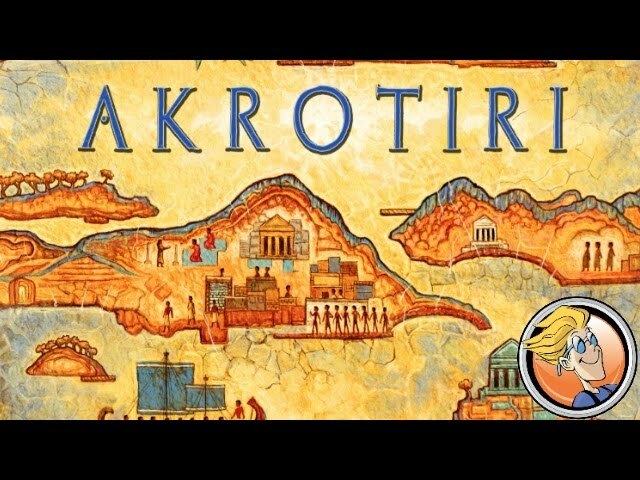 Akrotiri is a 2 player game of exploration of the Greek island set during classical antiquity. Players take on the role of explorers looking for lost Minoan temples. Funding expeditions is risky, and players have to manage their finances by shipping resources using their fleets, and slowly expand their map of the island chain of Akrotiri - excavating temples and trying to achieve their hidden goals. Buy Akrotiri if you want a tight and tactical two player game of tile placement, hand management, and pick up and deliver with tense moments all the way until the end.